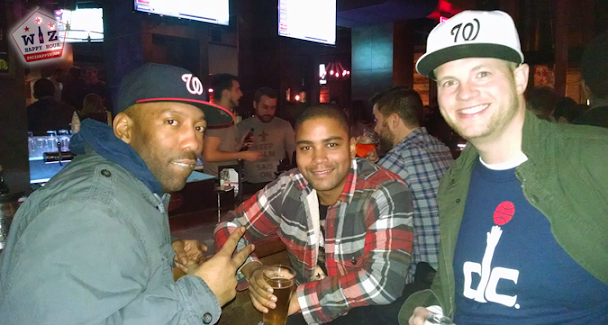 It was an exciting Friday night in downtown DC. 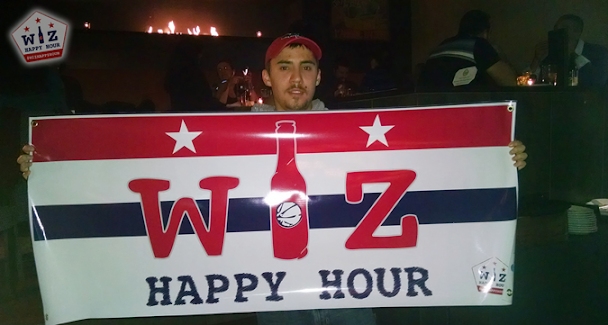 Wiz Happy Hour just made it big landing as the featured Nightlife story in the Washington Post Weekend section and that night at City Tap House before the Wizards game, Wiz HH VIP Nick hooked us up with an awesome Wiz Happy Hour banner! 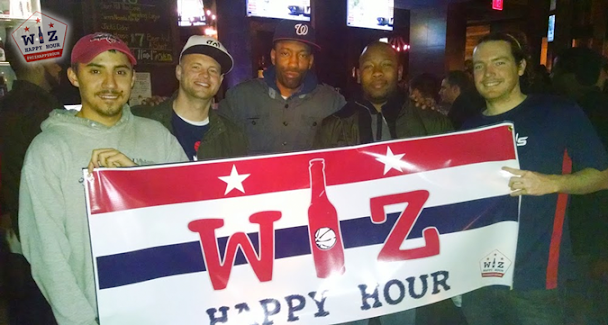 Unfortunately the Wizards lost, but we had a lot of fun before the game drinking big beers and whiskey shots, flaunting our new banner, and we even met Dave Johnson & Glenn Consor! 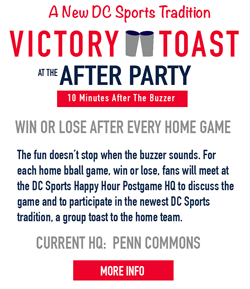 City Tap House is only a few blocks from Verizon Center but many Wizards fans don't even know it exists. During Friday happy hour the bar area was jam packed, and it is pretty large so this is definitely a neighborhood hot spot. The weekday happy hour runs from 5pm-7pm and features a couple select beers (mostly domestic crafts) out of their 30+ tap and huge bottle/can lineup for $5 and $6 house wine. 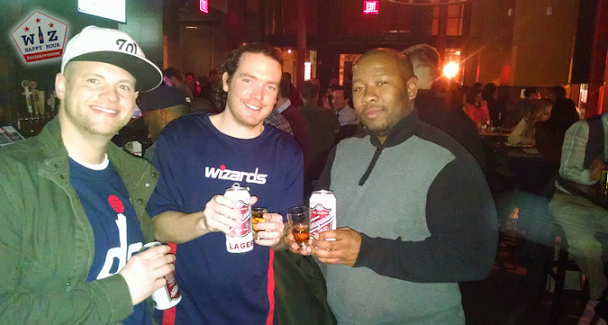 The main attraction to the Wiz Happy Hour crew was the $7 shot and a beer special which pairs up a shot of Jack Daniels with a tall Narragansett can. 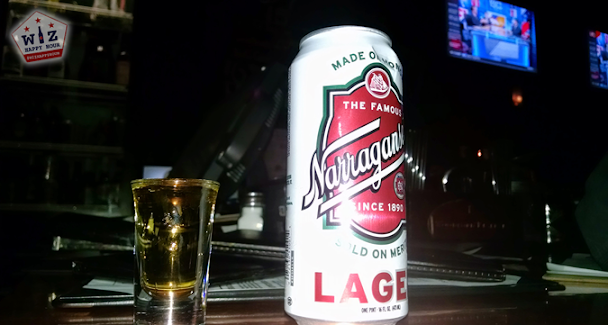 For the second straight Narragansett drinking night we drank them all and the bar had to go in the back and restock. 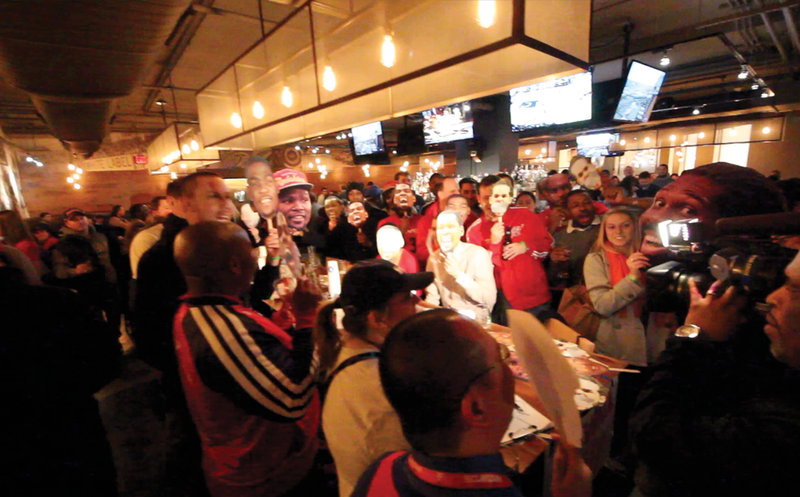 After some happy hour Wizards talk we all headed into the game. 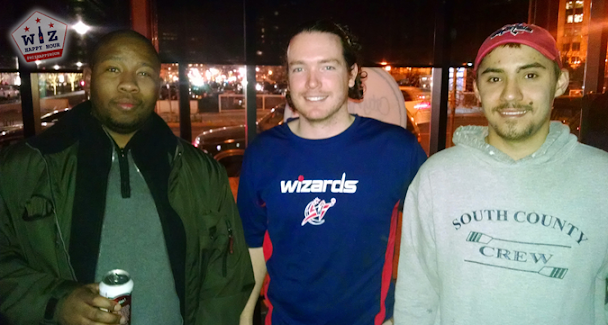 The Wiz lost but I finally had a chance to introduce myself to our friends Dave Johnson & Glenn Consor. I bugged them about the Radio Party Actual Party, we are still working on that. We even discovered a secret concession stand where they give you a free 3 shot pour of vodka on ice with your large $9 beer. Totally not supposed to do it, but it happened. We got the hookup, holla if ya hearrr mah! With all the shots the night got kind of crazy. And we were supposed to be resting up for the big bar crawl the next day. Whoops! Hope you can join us next time! See you out there & Go Wiz!